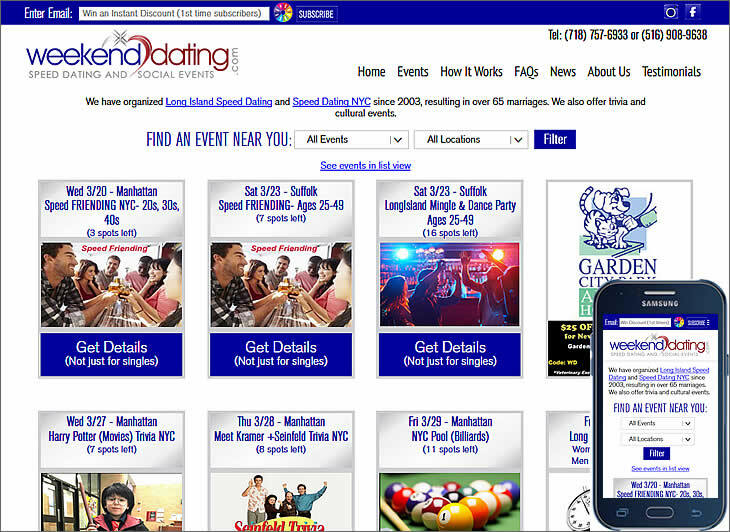 Social Events Website - Redesigned the functionality and navigation of this website. This includes the backend database that is used to drive the website. It also includes SEO work to make it show up high in google. Also designed website so it is responsive to the screen size and mobile friendly!